Regrettably our Spring Concert on Sunday 3rd June has been cancelled. We apologise for an inconvenience caused and thank you for you continued support. If you have booked tickets already you will be refunded very shortly. What a FABULOUS evening, thank you all so much for taking part and giving your time to The Royal Theatrical Fund. 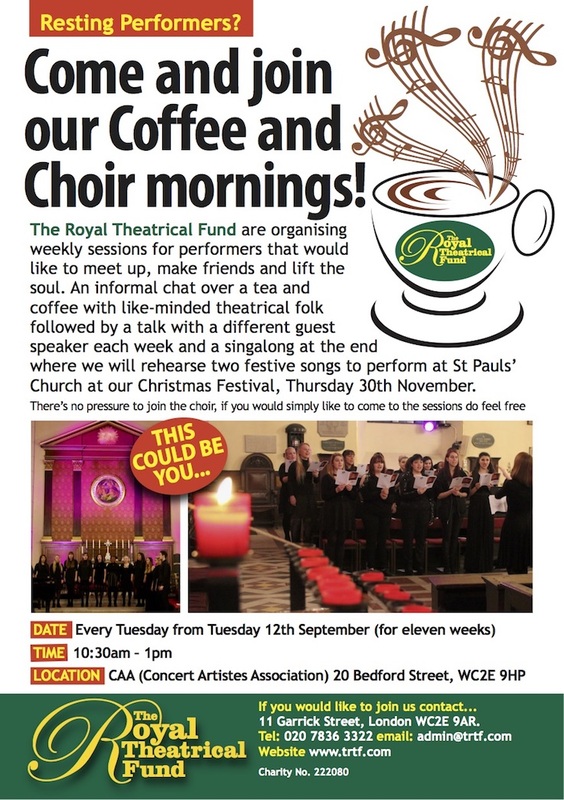 The first day of our Coffee and Choir morning got off to a FABULOUS start, see you all next week. 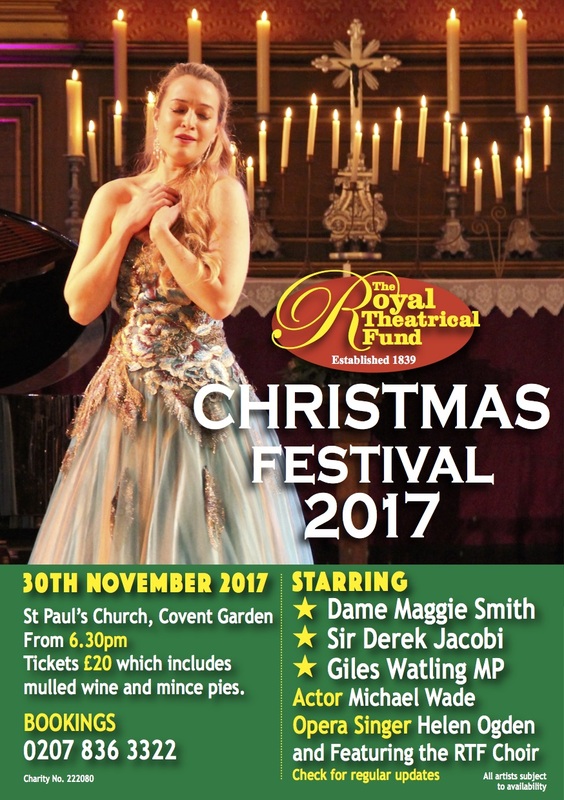 Join us for our annual Christmas Festival at St Paul’s Church on Thursday 1st December, 6.30pm, and start the Christmas season in style with witty readings, much loved carols plus mulled wine and mince pies. In previous years we have been joined by the likes of Angela Rippon, Hugh Bonneville, Lesley Garrett, Simon Callow (to name but a few!) and many other wonderful performers from the West End. This year’s cast soon to be announced! Tickets are £20 and go on sale the 1st September. Call the RTF on 020 7836 3322 to book.